WE WASHINGTON D.C. LEADERSHIP TEAM CONTACT: EMAIL US. Please let us know if you are interested in getting involved! Click here for more details: GET INVOLVED. WE WASHINGTON D.C. offers many opportunities for sponsors to gain recognition - internally and externally - as a leader in supporting women in financial services. Membership comes from all aspects of the financial services industry, including ETF sponsors, ETF managers, brokerage firms, index providers, exchanges and law firms in the Washington D.C. area. Whether you decide to support one chapter or several, WE will aggregate your giving to allow you the benefits defined in our Corporate Sponsorship Tiers listed here: CORPORATE SPONSORSHIP LEVELS. Women in ETFs Washington, D.C. chapter hosted our fourth annual panel discussion in partnership with Georgetown University's Center for Financial Markets and Policy. Panelists discussed how ETFs are facilitating goal and theme-based investing, as well as challenges for women in financial services. Click link below for the full event summary and pictures. Enjoy a fun evening with WE Washington, DC at Black's Bar & Kitchen in Bethesda. Join us for delicious cocktails, hors d'oeuvres and great conversation! Space is limited - register today! Enjoy a fun evening with WE Washington at the W Hotel's rooftop lounge, POV. Join us for delicious cocktails, hors d'oeuvres and great conversation. Members only. Space is limited. On April 20, 2018, WE Washington D.C. enjoyed afternoon tea and networking at the third annual Spring Tea at the Hillwood Estate, former home of Marjorie Merriweather Post. Fifteen women and men, including several newcomers, from the greater D.C. area attended. We regret to inform you that due to the winter storm, we are rescheduling our Wednesday, March 21st Happy Hour. We’ll email you with the new date and details once we have them and hope to see you then! 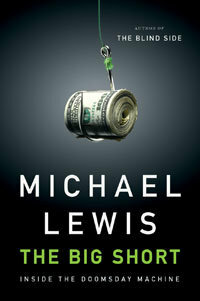 Please join our next book club gathering and discussion of "The Big Short: Inside the Doomsday Machine" by Michael Lewis. Join us for a glass of wine and great conversation in Bethesda, MD. Please join our next book club gathering and discussion of "Other People’s Money" by Nomi Prins. Join us for a glass of wine and great conversation in Bethesda, M.D. Join us for our annual Spring Tea at the Hillwood Estate, former home of Marjorie Merriweather Post. Guided tour of the mansion follows. 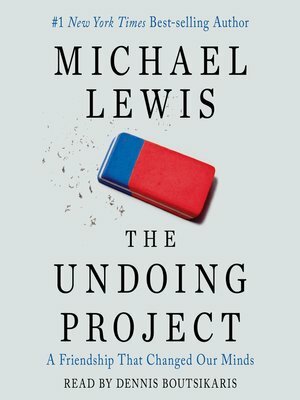 Let's kick off our first book club discussing The Undoing Project: A Friendship That Changed Our Minds by Michael Lewis. Join us for a glass of wine and great conversation in Bethesda, M.D. Let's kick off our first gathering of 2017 at Black's Bar & Kitchen in Bethesda. Join us for cocktails, light hors d'oeuvres and great conversation. Information about our 2018 planning meeting coming soon! Interested in getting involved? Please reach out to us. We look forward to hearing from you. WE Washington/Baltimore invites you to join us for breakfast to hear an intriguing talk: Understanding the Female Investor Brain, with Brie Williams, Head of Practice Management, State Street Global Advisors.